Cybersecurity firm Trend Micro is starting a two-month course later this year to train security experts from the Southeast Asian region to fight online attacks. About 25 newbie graduates in computer science degree courses from Asean will be selected for the Certification Programme in IT Security (CPITS) course. Trend Micro will hire about 40 per cent of the graduates. The rest are likely to be hired by its partners and customers, the company said yesterday at the opening of its new regional headquarters in Singapore. From its experience holding this course in other countries including the United States, Brazil and Saudi Arabia, the graduates are quickly snapped up because of the shortage of information security professionals, said Dhanya Thakkar, Trend Micro’s vice-president for Asia-Pacific, Middle East and Africa. Over 300 professionals have been trained with 96 per cent of them finding jobs, he added. Thakkar stressed that the course isn’t about Trend Micro’s products and solutions. Rather it focuses on information security principles which can be applied in any organisation. “Course participants do not necessarily come from the top universities. We are selecting the students based on their passion and grit,” he said. “We immerse them in information security. If they don’t make the cut, they are asked to leave,” he added. Selected participants will have their accommodation paid for. They will also receive a stipend from Trend Micro. The course is timely given that cyber intrusions are on the rise. Organisations in Singapore are boosting their information security capabilities in light of the cyber attack on Singhealth’s IT network last year which led to the loss of 1.5 million patient data. Trend Micro’s course will be held at the company’s new 12,000 sq foot office located in Suntec City. This office is also its regional headquarters. A new managed detection and response (MDR) security operations centre will also be set up here to support its customers. It will be part of Trend Micro’s global and security operations, which spans across North America, Europe and the Middle East. 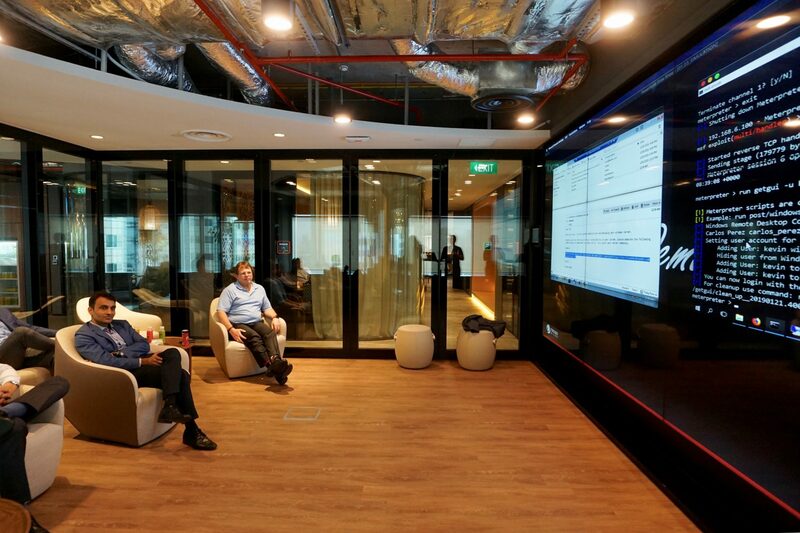 The Singapore security operations centre will also help customers monitor threat activity every day of the week on the devices used and their networks, sweeping for indicators of compromise and investigating the cause of cyber attacks. Thakkar said the new services are in response to a surge in appetite for such work by local companies which are under pressure to lift their threat hunting and investigation capabilities in light of increasing cyber attacks. As an education hub, Singapore also has a diverse talent pool ripe for developing the next generation of MDR specialists, he added.